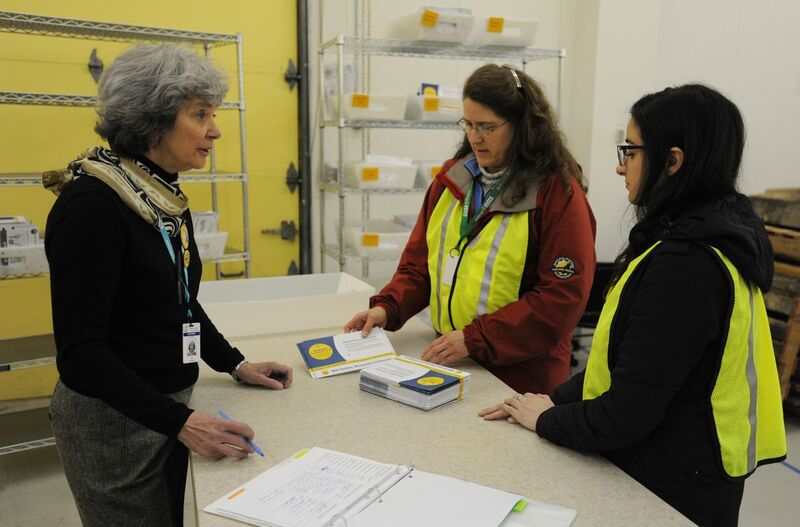 A case of mail theft in Chugiak and complaints of ballots being sent to the addresses of people who moved away long ago are among the hiccups so far for Anchorage's first-ever mail-ballot election. But election workers say for the most part things are going smoothly. Since Friday, more than 5,000 ballots have arrived from post offices and white metal drop boxes in neighborhoods around Anchorage. 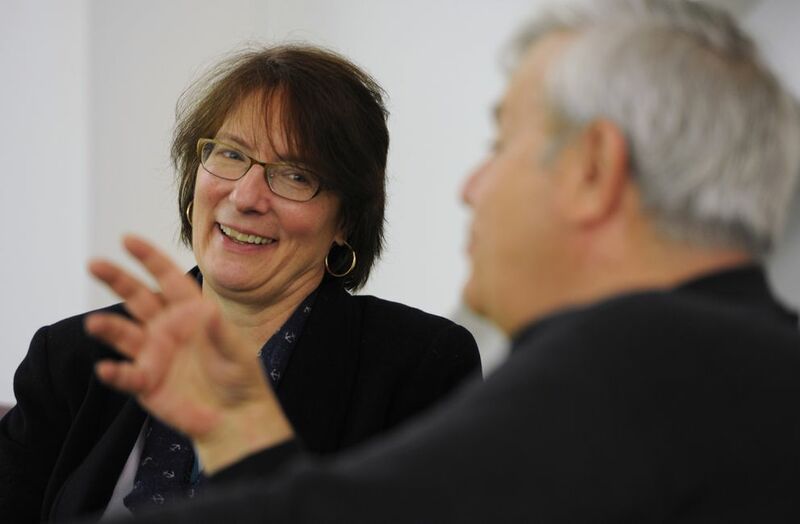 "Everyone's working really hard," said Anchorage city clerk Barbara Jones. The election, a first for the state, comes with a steep learning curve for city elections officials and for voters, some of whom may not have even been expecting to get a ballot in the mail. About 194,000 ballots were mailed out on March 13. So far, Jones said, about 20,000 ballots have been returned as "undeliverable. That could mean the voter's address in the state voter registration database was outdated or that there was a problem making the delivery, she said. For a system that relies on data, that's actually a good thing, said Randy Ruedrich, a former state Republican party chair who has long been involved in elections and absentee voting. Ruedrich was at the city's election headquarters in Ship Creek on Monday. He and Jones both said it's best for ballot packages delivered to the wrong place to be sent back to the city and marked as "undeliverable." That way, the ballot packages don't remain out there and the state can update its database, Ruedrich said. "The incidence of voter fraud is significantly reduced when those little pieces of paper come back," Ruedrich said. Jones said she's heard some complaints of ballots showing up at homes and apartments for people who moved a long time ago. "We're saying, 'Great, return them to us, tell us they're undeliverable, so we can let the state know," Jones said. The city has issued replacement ballots to 1,400 people who changed their addresses after the first round of ballots were printed, but before the voter registration deadline. In a separate incident, voters in the Chugiak area on Friday spotted ballot packages lying in the snow, disintegrating, said Carolyn Hall, education and outreach coordinator for the election. It later turned out that someone had stolen mail from several dozen homes. Hall said the thefts did not appear to be targeted at the election mail. But the theft troubled elections officials. Jones said she had not heard of ballot packages being stolen before. She said it's taken very seriously. Officials canceled the stolen ballot packages and mailed out 54 new ones, Jones said. Mail theft is a federal crime. The case was also referred to local police, Jones said. Apart from the Chugiak incident, Jones said officials have not received other reports of theft or fraud. At the city's election headquarters on Monday, there was a lot of quiet activity. Election workers were processing and counting ballot envelopes and checking signatures to verify a voter's identity. Ballots will be scanned starting March 27, but votes won't be totaled until Election Night on April 3, Jones said. Four election workers crowded around a computer screen, squinting at signatures. "A printed j is better than cursive j," one of the workers, Gail Loken, was saying. "Look at the rest of the name," Jane Moe-Newby, who was sitting right in front of the computer, said. The group talked a bit more. "Oh, perfect signature, thank you sir," Moe-Newby said before moving on to another one. At the counter near the front door, elections officials were helping people who did not change registrations in time and needed to ask for an absentee ballot. Julia Graves, who moved from Anchorage in 2016, was perplexed by a ballot she received at her home in Coos Bay, Oregon. She contacted elections officials on Twitter to ask why she was sent a ballot. She said she had also lived in Washington state, but had not received a ballot for mail-ballot elections there. Graves wrote in an email that she immediately called the state of Alaska and updated her voter information. 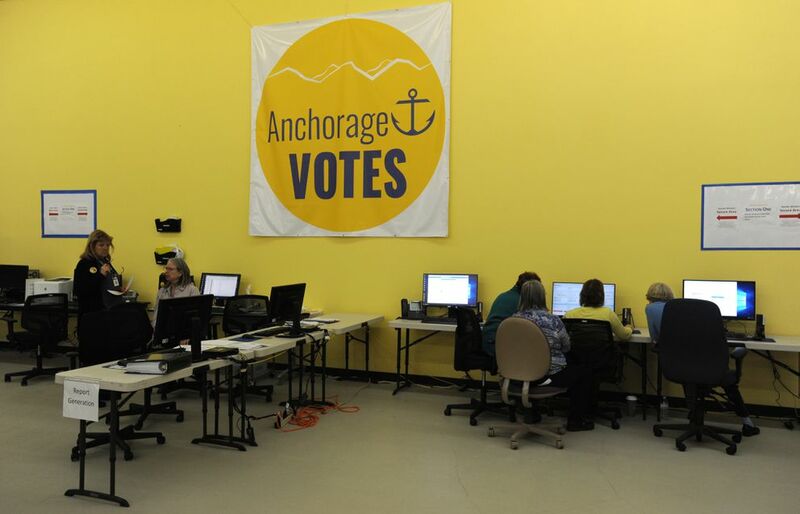 Jones said that many voters in the Anchorage election live out of state. That includes people who live Outside for the winter, people who work out of state, college students, military members and people who are taking care of family, Jones said. Each voter has to sign a declaration on the envelope saying that they are a U.S. citizen, an Alaska resident and a resident of Anchorage for more than 30 days prior to the election. "We believe the voter declaration, signed under penalty of perjury, is what will prevent (non-residents) from voting," Jones said. She said non-residents who receive ballots need to do what Graves did — call and cancel their voter registration. If a voter is an Alaska resident and receives a ballot out-of-state, Jones said, elections officials expect that person to vote. Some 40,000 people voted absentee by-mail in the 2017 general election in Alaska, Ruedrich said. He said it's a simpler way to run an election, though he said he'd spoken to people recently who didn't know that the ballot was coming in the mail. He pointed out that the cost of a stamp to mail a ballot back is less than the gas it would take to drive to drop the ballot off. "We have a lot of people that have done this. It works," Ruedrich said. "Don't try to make it complicated. Just cast your ballot." The city's election headquarters at 619 E. Ship Creek Avenue is open to the public, with yellow tape on the floor where people can walk and observe. Tours have also been held regularly. The next tour is scheduled for Thursday, March 29, from noon to 1 p.m.
To order a replacement ballot or ask other questions, call the city's voter hotline at 907-243-VOTE (8683) or email elections@muni.org.